Funeral services for Louis Bailey, Jr., 66, of North, SC will be held one o’clock p.m., Thursday, April 18, 2019 at Rocky Grove Baptist Church with the Reverend John O’Cain officiating; burial will be in the Salley-Oakview Cemetery. 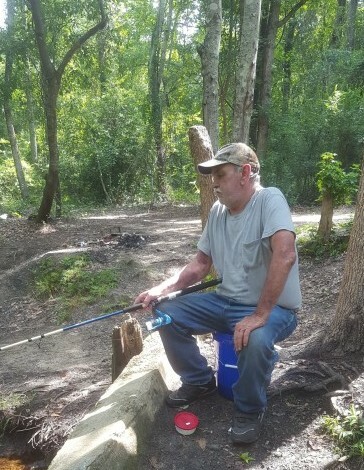 The family will receive friends from six to eight p.m., Wednesday, April 17th at Folk Funeral Home, Williston, SC and other times at the home of his son and daughter-in-law, Allen and Tabitha Bailey, 701 Jones Bridge Road, North, SC. Louis passed away on Monday, April 15, 2019. Born in Aiken County, SC, he was a son of the late Louis Bailey and Wylodene Brown Bailey. He was a graduate of Wagener-Salley High School, was a member of Rocky Grove Baptist Church and was a retired forklift operator. Louis loved to hunt and fish; he especially enjoyed fishing with his grandchildren. Survivors include his ex-wife, Carolyn Bailey of North; his daughter, Crystal (Max) Rutland of Norway; son, Allen (Tabitha) Bailey of North; sisters, Margaret (Eugene) Batchelor of Salley, Patricia (Aubrey) Shealy of Wagener, Beverly (Tony) Day of Wagener; brothers, Timmy (Laurie) Bailey of Summerville, Richard (Julie) Johnson of Bemidji, MN, Bobby (Kathy) Johnson of Columbia; grandchildren, Alexander Bailey, Alexis Bailey and Aiden Rutland.